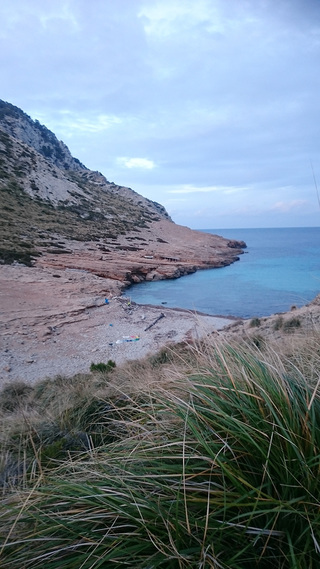 Cala Figuera in the North of Mallorca is a beautiful secluded cove only accessible by foot. 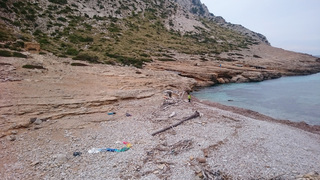 The magnificent views of the ocean and Cape Formentor rock formations from afar are tainted when approaching the beach during winter time - the rocky shore was not only full of natural ocean debris, driftwood, shells and shrub, that the winter storms washes ashore since thousands of years, but moreover littered with hundereds of nastily colorful plastic pieces and objects of any size, origin and condition. 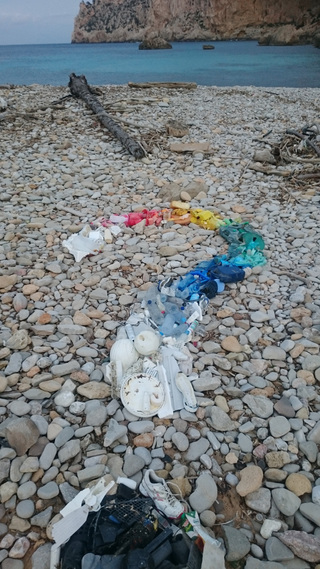 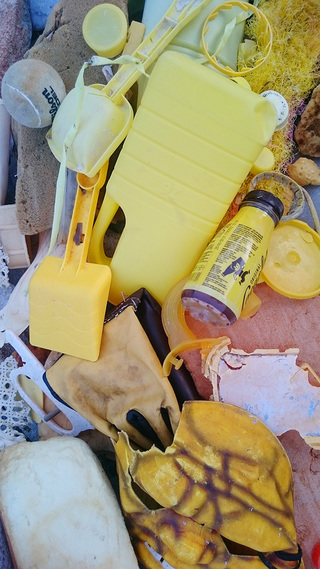 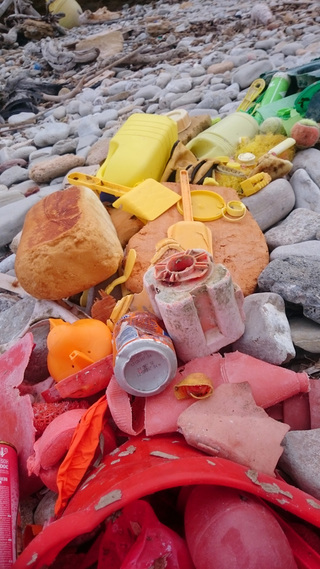 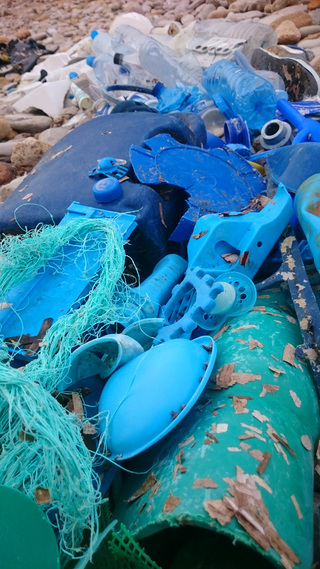 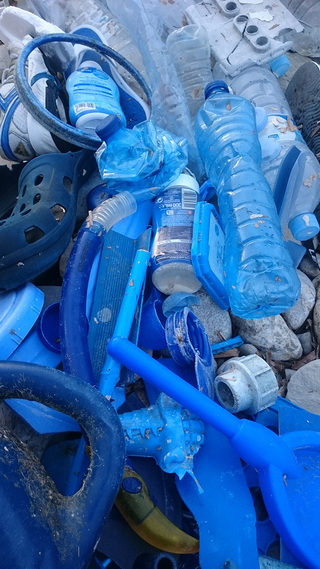 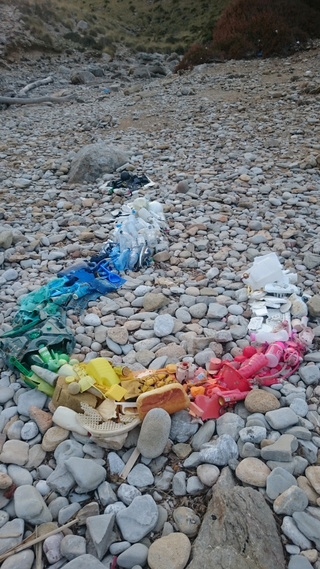 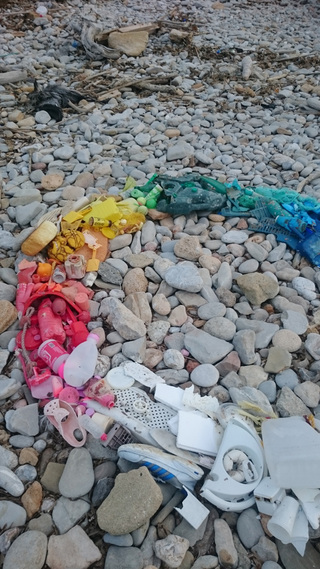 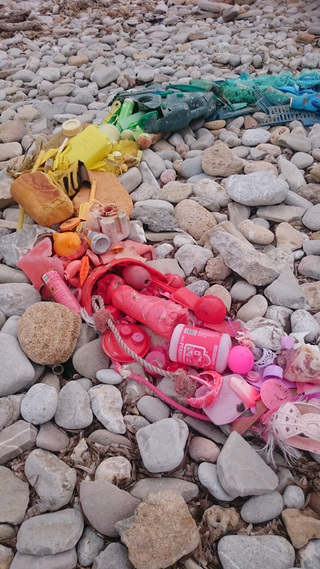 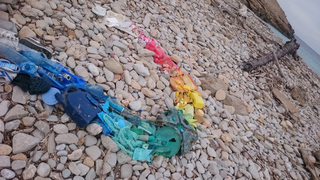 In a spontaneous three hour action i collected the majority of plastic junk from the beach and arrranged it according to the color spectrum in a heart shape further away from the beach. 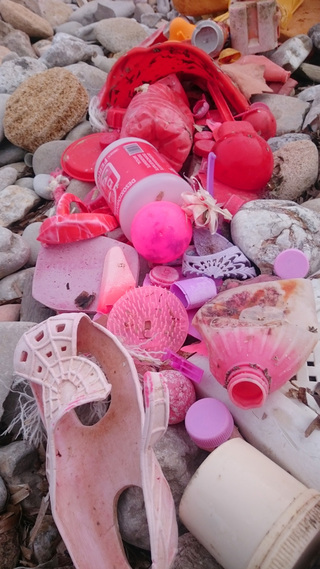 By artistic appropriation of the civilisatory debris the ugly plastic pieces became a poetic and nearly beautiful arrangement - a temporary memorial of the consequences of our globalized consumer plastic-hooked societies, but also an experiment of aesthetic judgement, shifting the perception of the same objects from ugliness to beauty, from worthless trash to interesting objects, since every piece does tell an unknown story- we even found a plastic bottle with a chinese label, infering an aquatic journey of a few thousand miles.